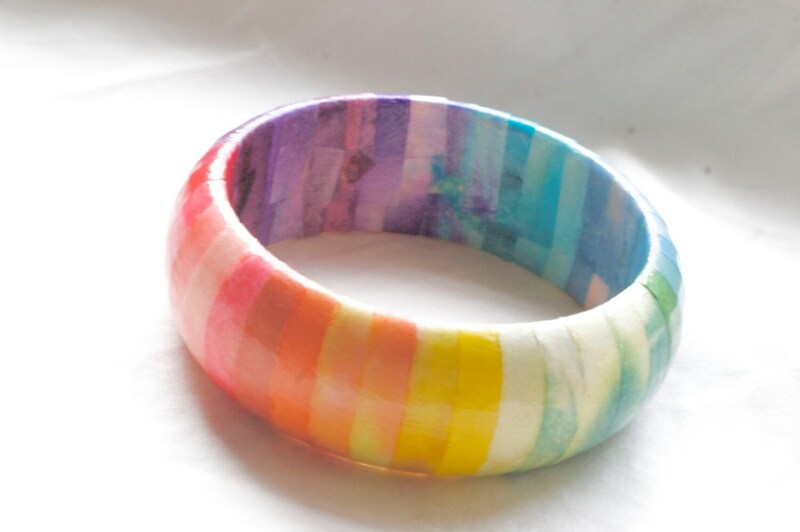 Spectrum rainbow bangle, made from Japanese paper over wood. Resin applied for water-resistance. 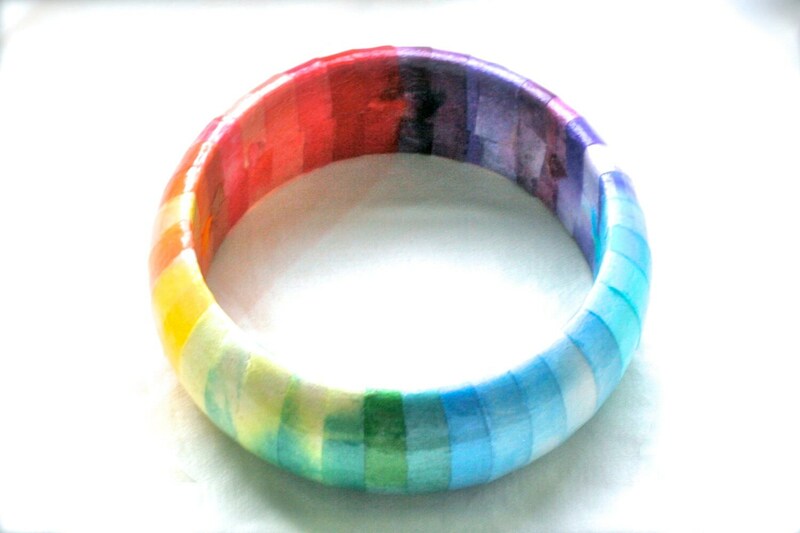 PLEASE NOTE THAT EACH BANGLE WILL VARY SOMEWHAT IN COLOR AND PATTERN. If you would like a free custom quote, message, or lyrics on the inside, please choose "Custom Quote" and upon checkout, send a message of what you would like written. 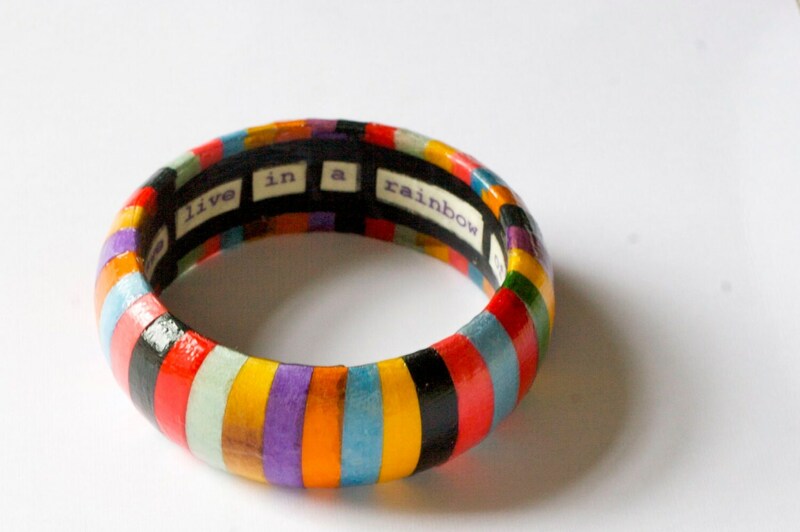 The bracelet fits a maximum of 84 letters, including spaces. 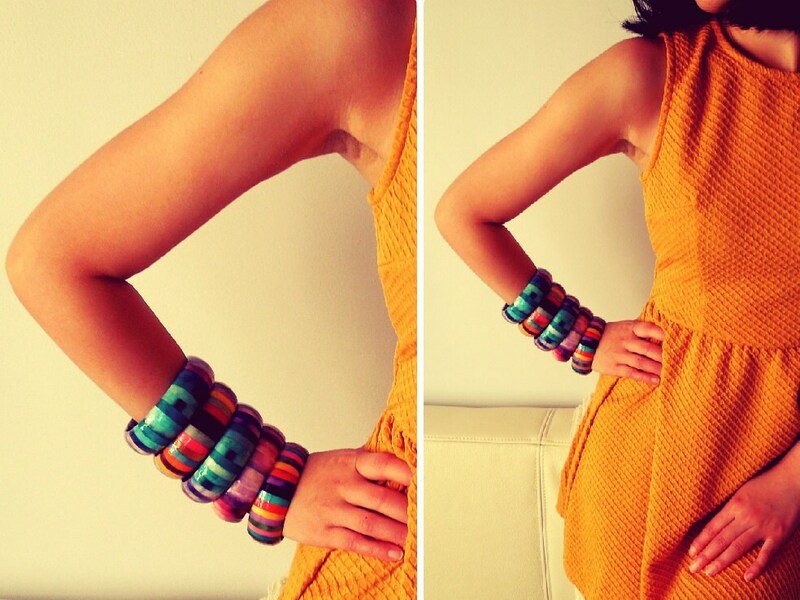 The last photo shows what a bangle looks like with lettering on the inside. 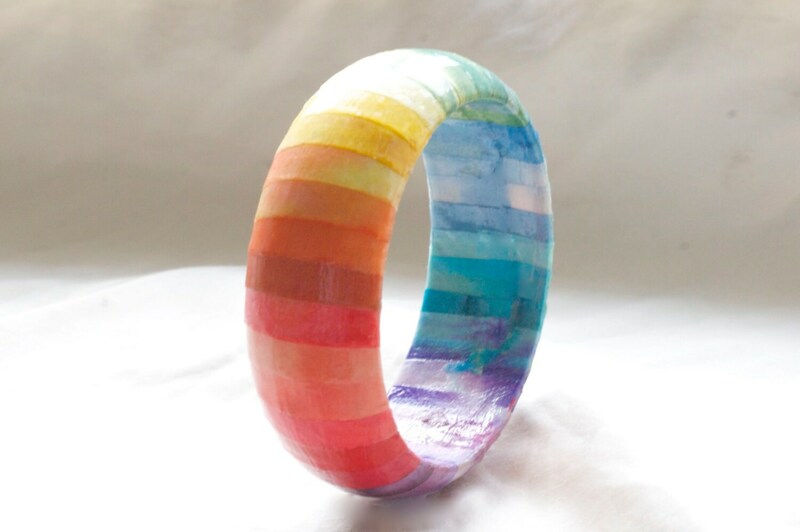 If no instructions are included for a customized quote or message, this bangle will come to you as pictured in the first photograph, with no wording.